Welcome to the Fluent German Retreat 2018, to take place in Germany's oldest city of Trier this December! This is our Wein & Weihnachten Retreat, a special Christmas getaway where you can boost your German skills while taking in the stunning Mosel region with its world-class wines and romantic Christmas markets. Experience the unique atmosphere of one of the most beautiful Christmas markets in Germany. Framed by Trier's historic Hauptmarkt and the Dom, you will enjoy a glass of Glühwein and get in the mood for Christmas time. A true street festival. This city lives up to the title of Germany's oldest. Discover the Porta Nigra, the best-preserved Roman city gate North of the Alps, imagine gladiators in the Amhitheater and visit the impressive Basilica where Roman Emperor Constantine held court. This UNESCO world heritage site is a treasure chamber like no other. Marvel at church relics, manuscripts and reliquaries from the 3rd through the 20th century, before seeing 1700 years of history in one building: the Cathedral of St. Peter. The Mosel valley is world famous for its stunning landscapes and wine-making traditions. We'll experience this world of viticulture first-hand in a tour of the slopes, vineyards, and cellars. Rounding off the day, you will taste world class wines with expert commentary. Enjoy a day trip to the Grand Duchy and visit 2 countries in one. 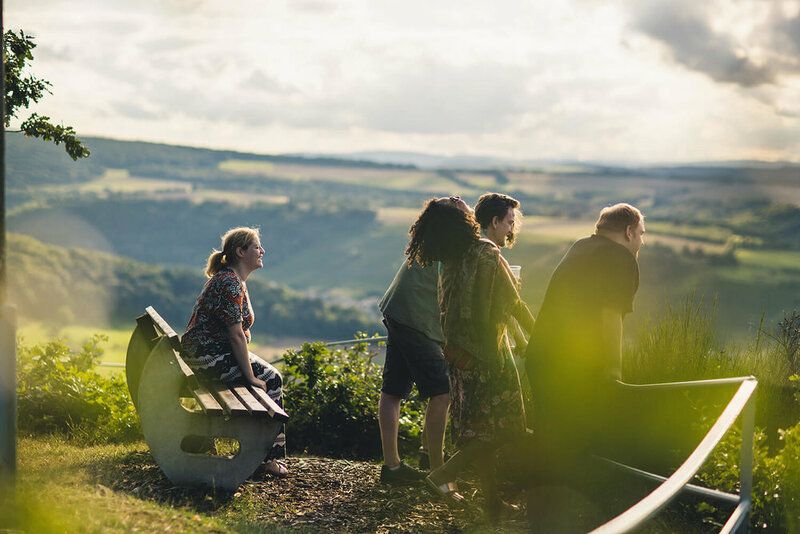 A polyglot paradise, Luxembourg is a hop, skip, and a jump away from the city of Trier. This trilingual capital offers culture, art, and a chance to try out your French or pick up a few words of Letzebuergisch. Hi, my name is Kerstin and I am your leader for the Fluent German Retreat in December 2018. I'm a native German speaker with added English, Luxembourgish, French, Spanish, Welsh, and few more. I am passionate about effective language learning, and work on helping language learners excel. 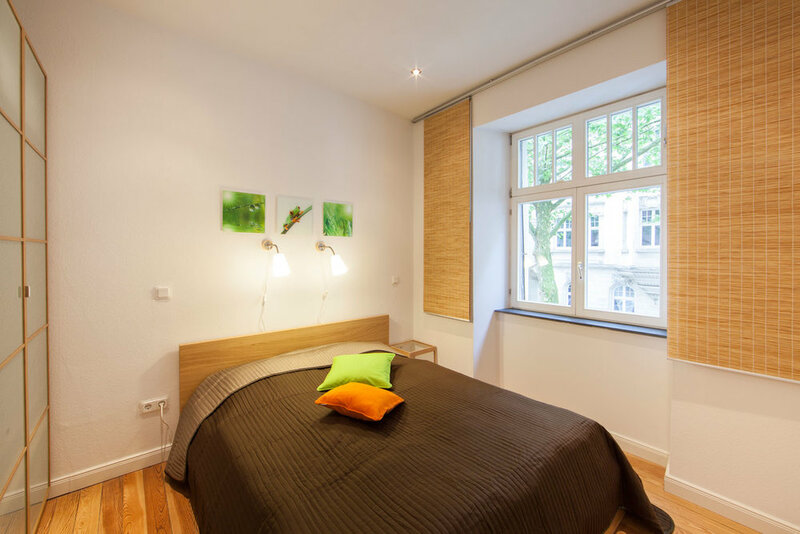 You will live in a beautiful Trier apartment featuring private double bedrooms, modern bathrooms, a fully equipped kitchen, a private garage, and 2 relaxing lounges. The dates for our German Retreat are planned to be 3 to 8 December 2018. You can arrive anytime late afternoon/early evening of the 3rd and then leave the morning of the 8th. As a guideline, you should be able to conduct and follow a conversation beyond the absolute basics. In formal terms, we're looking for participants between A2 and B2. If you a little nervous about whether your level is right for this retreat, don't hesitate to email me kerstin@fluentlanguage.co.uk and I will be able to guide you personally. At our German retreat, you'll be able to enjoy the German immersion experience that we have prepared for you. You will need to arrange your own travel to Trier (see below for detailed instructions). You should also ensure that you have valid travel insurance and documents for your trip to Germany. Trier is Germany's oldest city, but it offers convenient modern travel options. Fly to Luxembourg, Hahn, or Saarbrücken airports for a quick connection by car or bus. We will be offering airport transfers for participants arriving in Luxembourg on our designated arrival day (currently planned 3 December but confirm with us before you book). The train station Trier HBF is served by Deutsche Bahn whose website and planner will show you national and international connections. Trains by Deutsche Bahn are fast, affordable, and convenient. 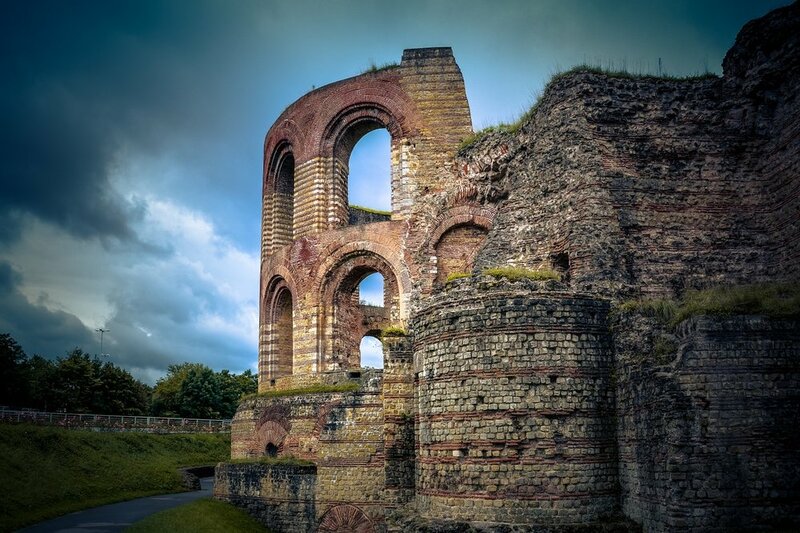 If you want to spend more time in Europe after the retreat, Trier will be a perfect starting point for trips to the Luxembourg, France, Belgium, and the Western part of Germany.